iPhone7 Airtel offer, Rs.30,000 worth Bumper offer covers unlimited data and local, std voice Calls. 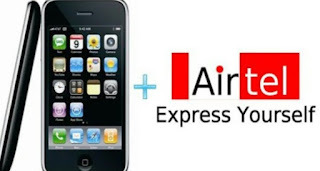 We all know that Bharti Airtel, India’s top telecommunications legend is bundled with iPhone. 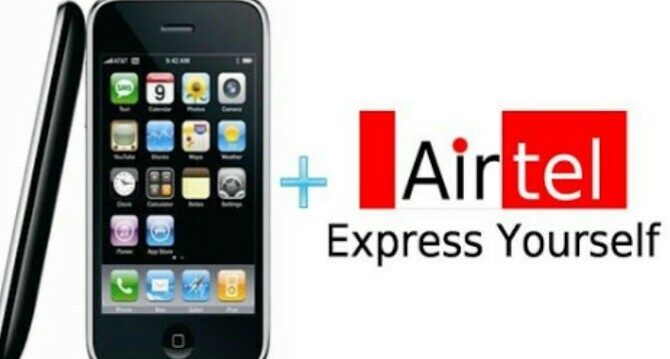 On behalf of their promotion Airtel announced offer of free data bundled with Apple’s new iPhones. Find the iPhone7 Airtel Offer details below. 6. Other details:The free data will be in addition to plan benefits. 7. Worth: Officials said the free data is worth some Rs 30,000 spread over a year. 8. How to avail the offer: The iPhone 7 and iPhone 7 Plus can be bought at retail shops or Airtel’s official website. 9. Other plans: Customers can enjoy the latest iPhones on Airtel’s mobile broadband network with bundles of data and unlimited voice calling with Infinity plans. 10.The Infinity postpaid plans offer unlimited voice calling – local, STD and national roaming – along with bundled 4G/3G data, SMS and free subscription to Wynk music and Wynk movies. So why to worry, just go head with world's no 1 customary mobile good.